I’ve seen them around the blogosphere, and wanted to knit them. Mittens of pure silk made out of silk hankies. No spinning required. I love the rustic look of them, the unexpected way the colors play on each other, and I just knew they’d be softer than anything imaginable. So I finally got myself some silk hankies and gave it a try. It took a couple rounds to get the proper amount of drafting, but once I did I moved right along. The silk hankies stacked together along with my mitten in progress. The biggest difficulty is keeping winter hands soft enough to work with silk. It just wants to stick to everything! Much exfoliation required. I do have a finished mitten though, a wonderful, soft, finished mitten! I stayed up a little late to work on it. However, I also started a new project, a handspun citron shawl, attended 2 hockey games, saw Arthur Christmas, spent time with friends, moved furniture, decorated the tree, and put up Christmas Decorations. I think I’d call it good even so! I’ve finally done it! 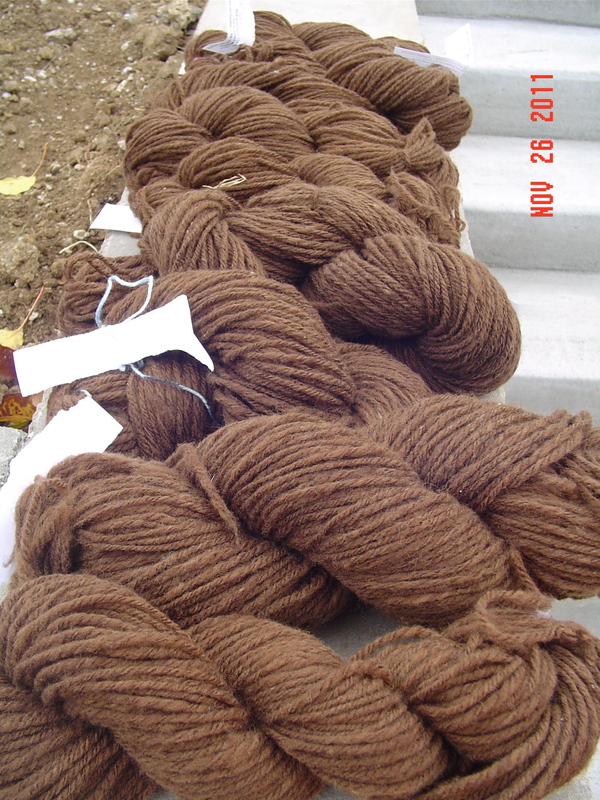 I have finally finished spinning my entire brown CVM Romeldale fleece. This is quite a large portion of the project done, and I am feeling very proud of myself. I am also happy to be moving on to another color in spinning! The grand total of yarn on this project is 1507 yards of 3 ply yarn spun woolen, and weighing in at a worsted to bulky weight. That is a lot of yarn! I have no idea what I will make with it at this point, it needs to take some time to mellow. And I need to look at wool that isn’t brown for a bit. 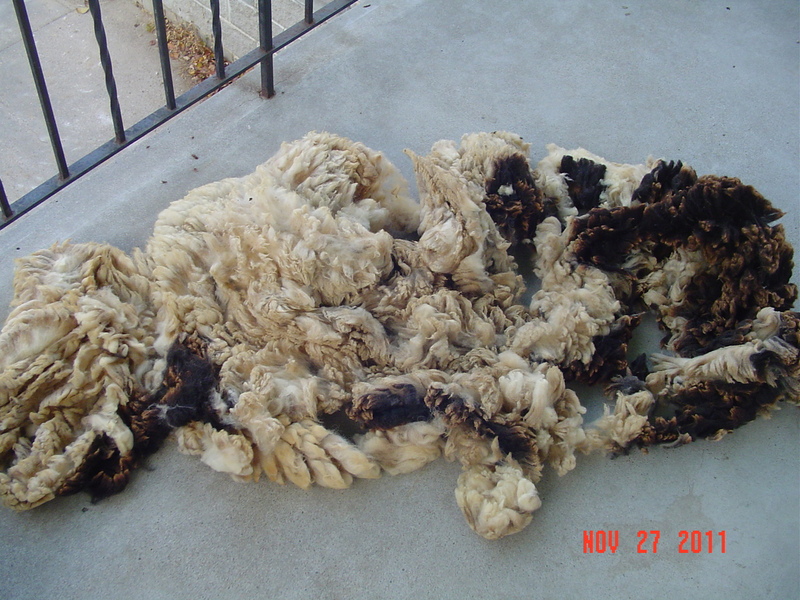 This is my fleece from a Jacob Sheep that I purchased at Iowa Sheep and Wool Festival this summer. It is just lovely! I have no idea how long it will be before it is all carded and ready to go, but I can at least get it washed and put away so it is ready when I am inspired. Tomorrow I can give you a “to do” list update. I’ve done fairly well, but ended up working on an unexpected project, leaving a bunch of knitting by the wayside. Once I got my hands on the wool in question, I read the tag stating that it was Wensleydale wool. From the feel of the wool I could tell it had to be a longwool. It wasn’t particularly soft, and drafting it was a challenge. However, it has a great shine to it! It is most certainly the stiffest wool I have ever spun, having not had experience spinning longwool before. I added as much air to it as possible, and I am hoping a good finishing after it is soaked will soften it up a bit. So, I just had to spend a little time reading about the breed. I must say, some of the pictures where it looks like the sheep have dreadlocks on their heads are awfully cute! 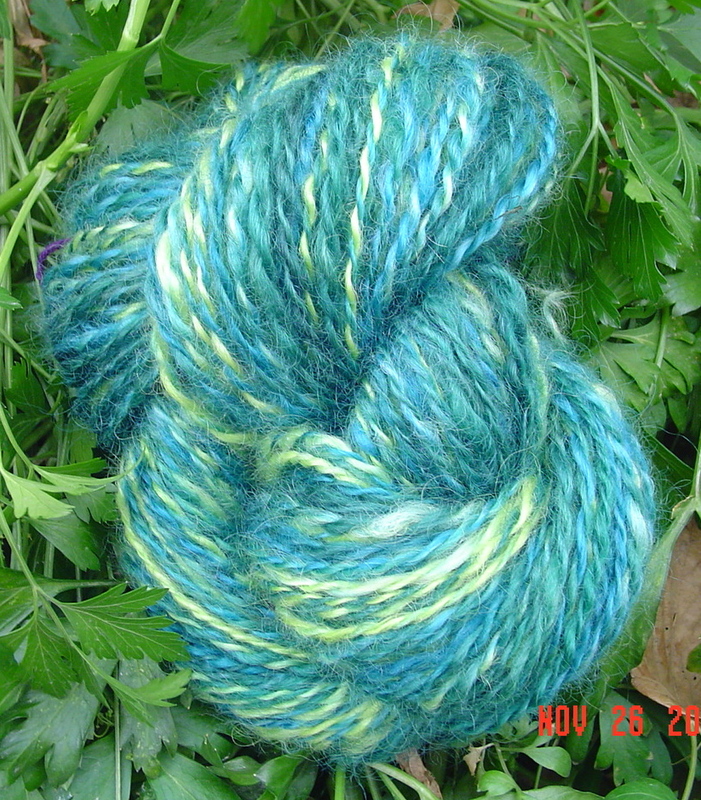 In any case, I spun the wool into a 2 ply. I have 145 yards of yarn out of this one. You can now see what I have managed to do. I can tell you what I will not manage to do. I am clearly not going to get a chance to start knitting on the gloves/mittens combo. 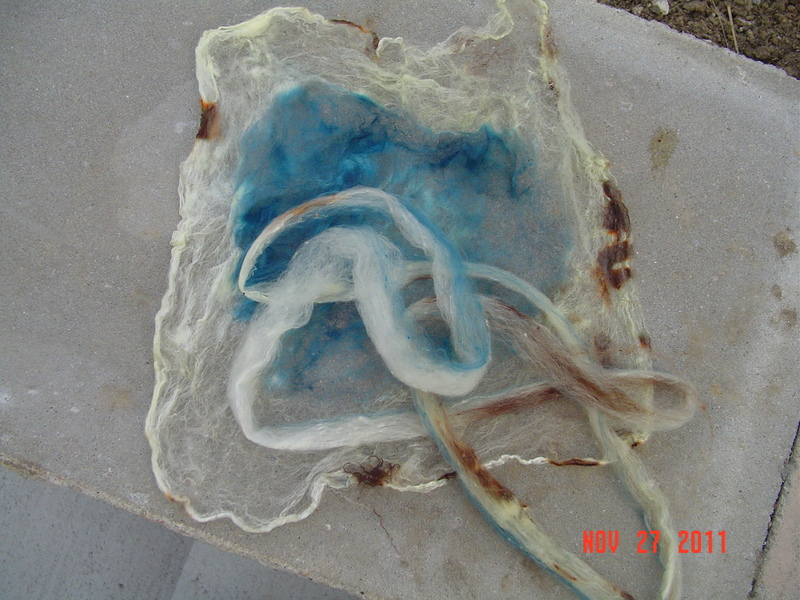 But, I have a completed fleece all spun up and the last skein is drying at the moment. 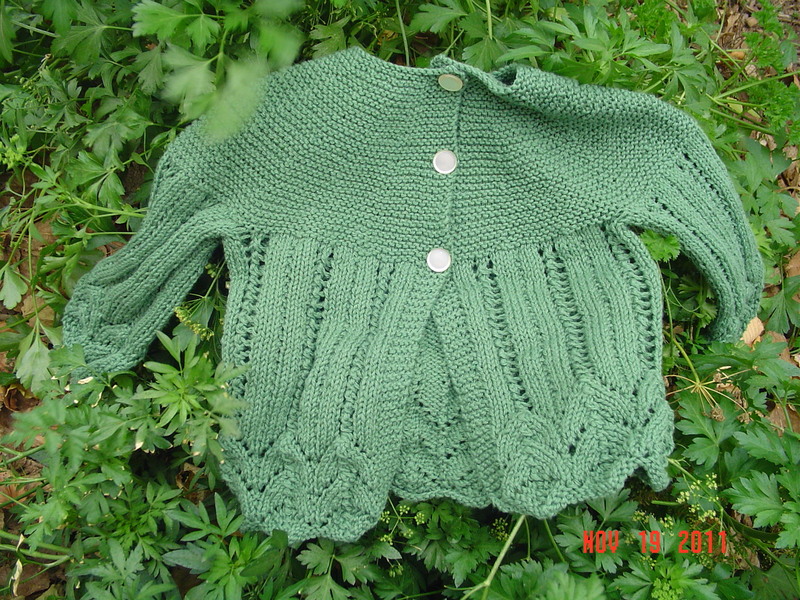 I also finished the sweater repairs, easy project, didn’t take long, but hard to do when I am uninspired. And then there is the test knit. I can say I’ve really been concentrating on that more than anything else. I am now at the point where I need to divide for the front and the back. I have 14.75 inches of cabled cotton right now, and it is looking great! My Starmore sweater, which has been on the needles for more than a year, is finally complete. The yarn is Blackwater Abbey Worsted. I will not kid myself into thinking that the beauty of the knitting is all me. It is due in part to the yarn. The yarn is made to highlight cables, and it does. It is not overly soft, but perfectly wearable with a turtleneck. Now for my big grumble about Starmore patterns in the Aran Knitting book. You see, you knit the sleeves and the shoulders and then leave live stitches to pick up for the collar. This provides stunningly little stability once the sweater is complete. 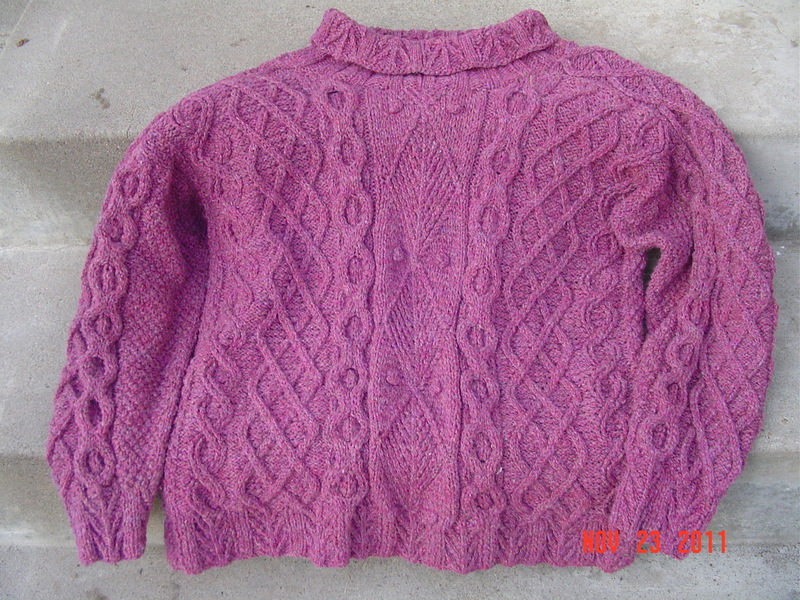 I have knit 3 Starmore sweaters now, one of which I still have from 2007. It is droopy. So, when I put this one on, I was immediately disappointed with the wideness of the collar. I ended up making a stip stitch crochet stabilizing line on the back side of the collar, which seems to have helped. I think that in the future, I will just cast off those stitches and pick them up when knitting the collar. That will save me some trouble! But, I am happy. I am happy to have this lovely sweater, and happy to be wearing something so warm. Not too much complaint from me!!! This week in knitting has been a productive one. I finished two projects. Most notably, I finished the Starmore. 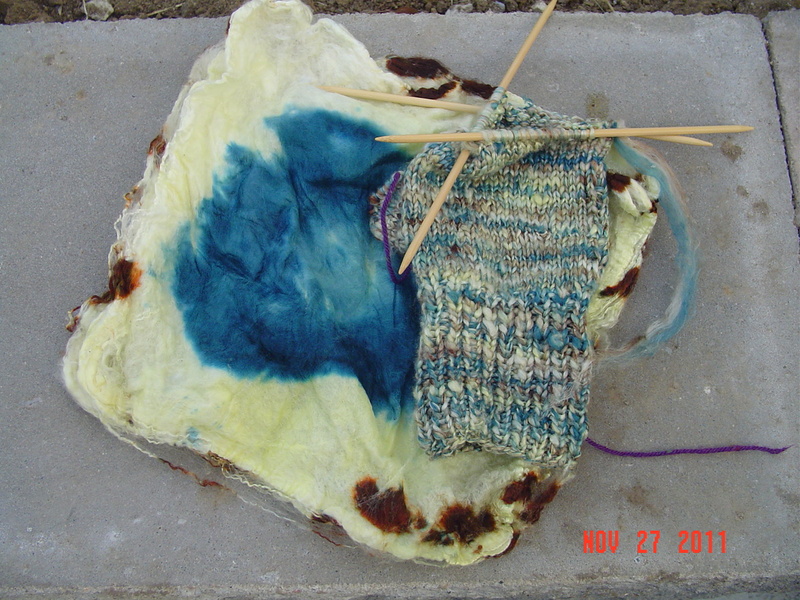 Sadly, it is going to take at least 2 more days to dry, thus pics are slow in coming. I can say though, it may be some of my finest work. I absolutely love the sweater. I’ll tell you more about that once I have pictures. I also finished the second Baby Mine sweater, this one sized for a 1 yr old. Yarn is Lamb’s Pride Cotton Fine. After I began knitting the sweater I realized I had seriously misjudged the amount of yarn I had allotted for it. I had a full skein and an almost full skein. I thought that would be fine. Then I remembered that I had knit the 2 yr old size and that took 2 full skeins plus part of the third. So, I spent my time knitting and worrying on it. I figured I could get a contrasting color and do an icord tie at the top if necessary, but I decided I should first just knit until I ran out of yarn. Early on in the knitting of the yoke, I eliminated 2 rows, I figured that just might be the difference between having enough yarn and running out. And I was sure it wouldn’t make a size difference. Know what? It really didn’t make a difference, and it was indeed the saving grace, as I ended up with about 2 yards of leftover yarn once all was said and done. Enough chatter, here is the finished sweater. Ideally we will get to see it on the child it is intended for at some point. Now that two large projects are complete, I have mad goals for the Thanksgiving holiday! I am listing them here in order to see just how many I can get crossed off in one week. There you have it! An entire week in knitting in one post. Stocking number I don’t know what! I can’t even tell you anymore how many of these stockings I have knit for family and friends. Tis is, however, the first time I have used dark blue as my main color. I love the result! It has such a rich look to it. 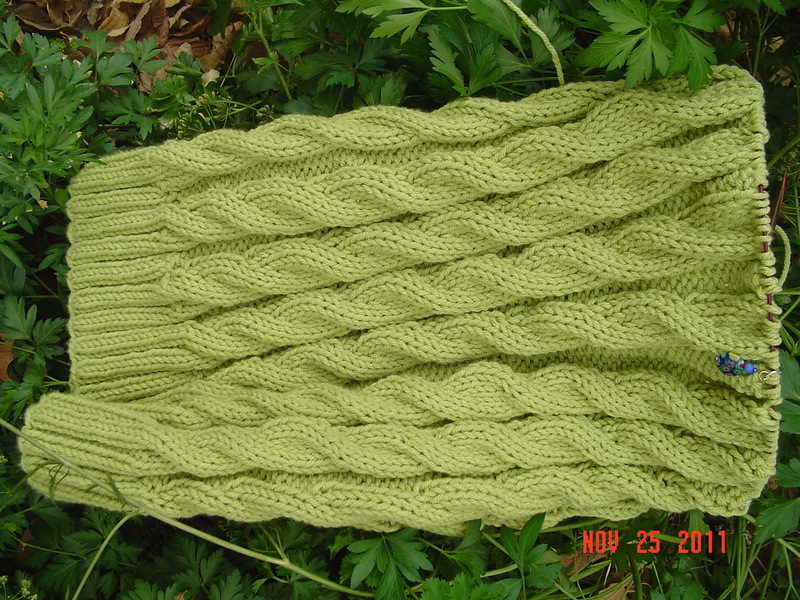 I will be knitting another of these, but will probably not start until I head home from vacation.